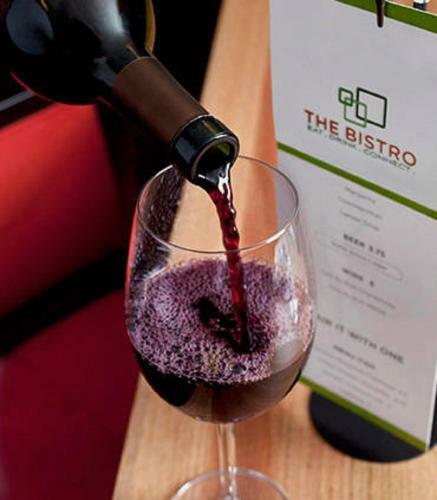 Find places to stay in Carrollton, GA and other fun things to do. View our list of attractions, activities, events, restaurants and visitor information. Currently as low as $65.44/night! A heated indoor pool free Wi-Fi and free breakfast are the prime perks offered by Americas Best Value Inn And Suites Carrollton. At this two-story property the 50 rooms and suites come with microwaves mini-fridges and cable TVs with HBO. Free Internet, Indoor Pool, Free Breakfast, Non Smoking Rooms. Thanks to amenities like free hot breakfast and a heated outdoor pool the Best Western Plus Carrollton is a smart spot for our guests to stay in western Georgia. Swimming Pool,Outdoor Pool, Non Smoking Rooms. An indoor pool a central location and rooms with free Wi-Fi and flat-panel TVs make the non-smoking Courtyard by Marriott a convenient choice when in Carrollton. Free Internet, Swimming Pool, Indoor Pool, Free Breakfast, Restaurant, Non Smoking Rooms. Free breakfast free internet and a large sun deck surrounding a seasonal outdoor pool are the top amenities offered by the Econo Lodge Inn & Suites Carrollton. Free Internet,Outdoor Pool, Pets Allowed, Non Smoking Rooms. 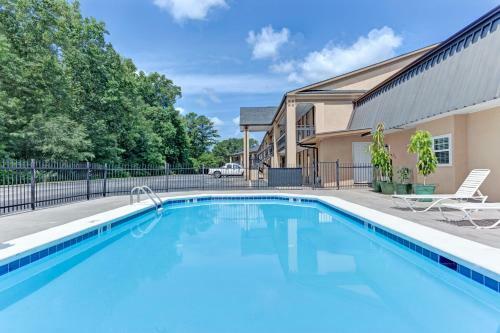 Free Wi-Fi and a heated outdoor pool are features that please our guests at the Hampton Inn Carrollton GA. Free Internet, Swimming Pool,Outdoor Pool, Non Smoking Rooms. Currently as low as $99.19/night! 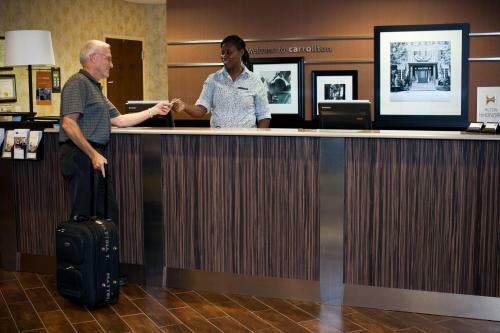 Holiday Inn Express & Suites - Carrollton West provides air-conditioned accommodation in Carrollton. This 3-star hotel offers free WiFi. The hotel offers a fitness centre and a 24-hour front desk.Guest rooms in the hotel are fitted with a TV. Free Internet,Outdoor Pool, Non Smoking Rooms. Comfy accommodations and a convenient location are a few of the winning features for our guests at the Quality Inn Carrollton. At this two-story Quality Inn 59 exterior-access rooms come with pillowtop beds gourmet coffeemakers hairdryers and cable TVs with HBO. Free Internet,Outdoor Pool, Pets Allowed, Non Smoking Rooms. Free breakfast free Wi-Fi and a seasonal outdoor pool are the prime perks at the Super 8 Carrollton an affordable hotel near Tanner Medical Center that accepts pets. Free Internet,Outdoor Pool, Free Breakfast, Pets Allowed, Non Smoking Rooms.